The Compton Spectrometer and Imager (COSI) project has openings for students who are interested in working in the area of high-energy astrophysics instrumentation. 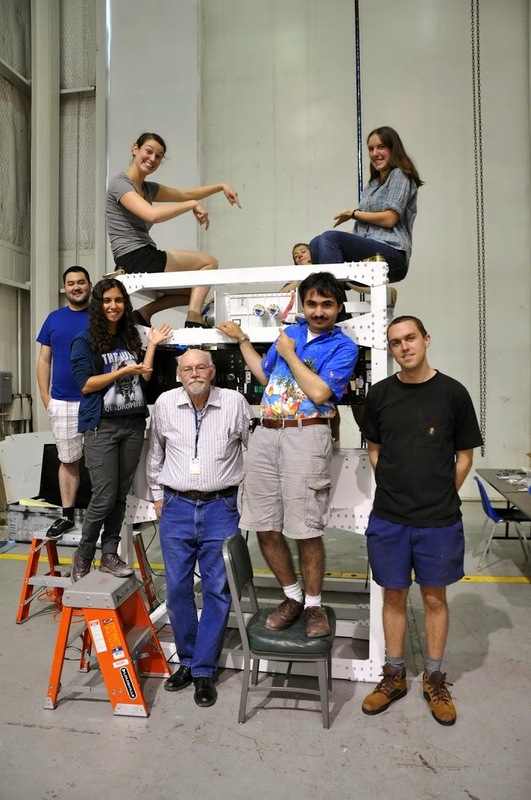 The Space Sciences Laboratory has a long history of successful graduate and undergraduate student education, training, and mentorship via significant involvement in both Low Cost Access to Space (LCAS) missions (e.g. balloons, sounding rockets, and CubeSats), as well as groundbreaking NASA spacecraft launches such as THEMIS, ICON, MAVEN, NuSTAR, and Parker Solar Probe, to name just a few. SSL students work directly with university research and engineering groups that are on the cutting-edge of space science exploration, and thus have a unique opportunity to develop important knowledge and skills for 21st century careers in space science, aerospace, astronomy, data science, engineering, computer science, and other related STEM fields. Please click on the appropriate links below for more information about current student opportunities at SSL.